Skincare is a topic I will never get bored of talking about. I obsess over the state of my skin on a daily basis, from what it looks like first thing in a morning, to when I remove my make-up of an evening. I tailor my skincare accordingly to each day. Is it drier than usual? Is there a breakout or problematic area I need to work on? What can I use to keep the wrinkles at bay? 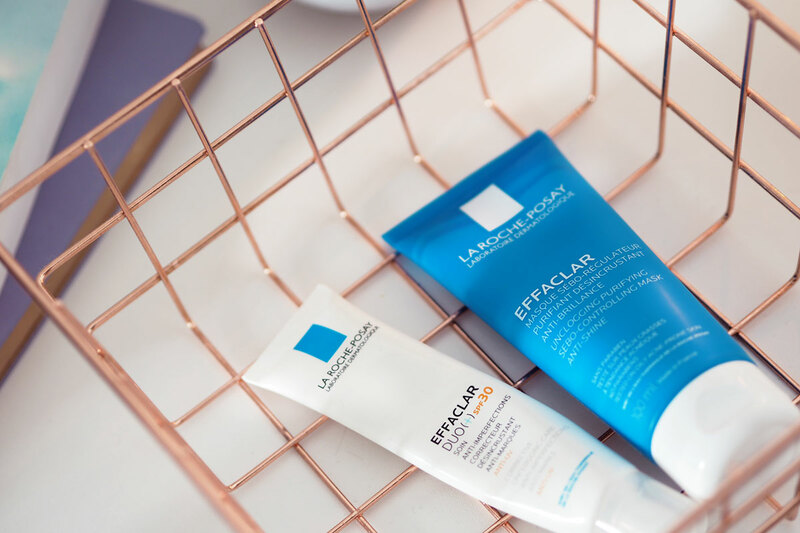 I do have a few staples that I use religiously, but for when I need to customise my routine there are a handful of French Pharmacy skincare products that I turn to. My skin is so ruddy temperamental at the moment, it is driving me insane. I know it is totally down to my wine-cheese-stress lifestyle, but you know, a girl has to live a little. I am always on the go and the first place that shows signs of fatigue is my skin. I tend to be quite problematic with small break outs here and there, and my skin can look rather dull and lack lustre. This exfoliating treatment contains glycolic acid and works overnight to leave you waking up to radiant skin in the morning. I use this twice a week as and when I feel I need a boost. I do prefer to use a day time moisturiser and then apply a separate SPF on top, but when my skin is feeling hormonal and oiler than usual, I reach for this. It is a great product for unblocking pores, reducing the redness of spots and soothes any discomfort. I don’t like to layer products when my skin is being problematic, I like to use the minimal amount of products simply because I feel like my skin also then has room to breathe and heal. Decleor is a brand that have been around for a while now, but I am not very familiar with their products. I was sent this exfoliator to try and was really impressed by it. It is a really soft and gentle formula which you can use 2-3 times a week, giving you skin a new lease of life and returning your healthy glow. I tend to reach for this of an evening after double cleansing away a lot of makeup and I feel like my skin needs a deep clean, without using anything too harsh. Eye creams are something I always have plenty of, yet they are often over looked by a lot of people. I swear by them. This one is a lot lighter than my usual go to eye cream (this one here). When I am looking extremely tired and need a good boost and something soothing, this one is what I reach for. The cooling applicator is especially good for those occasions when you have had very little sleep. I try to find time to do a face mask at LEAST once a week, and I always tend to go for a clay or blemish targeting mask like this one. The reason why I love this one so much is because it feels so calming on the skin and does not dry out. It is just like a soft blanket over the top which takes down any redness and helps control the oil in my skin. My skin feels so unbelievably clean every time I use this. This is definitely my favourite product of the moment. I was dying to try this as I had read so many great reviews. It really does deliver. 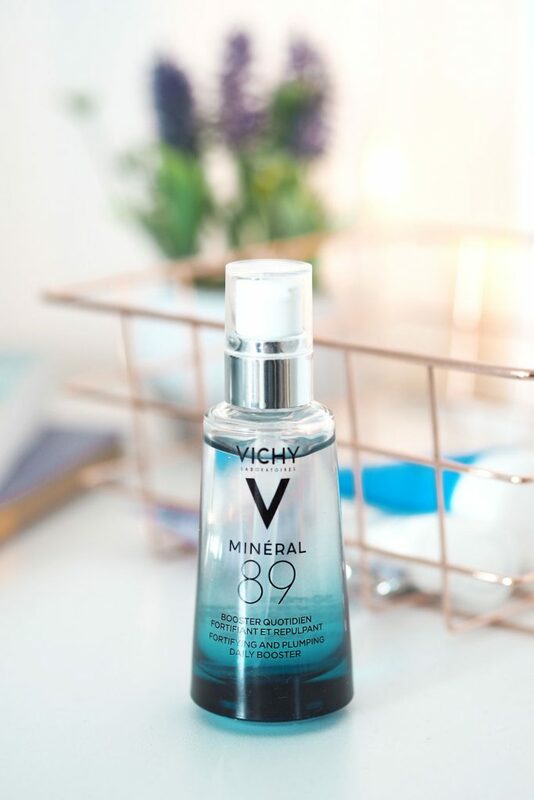 My skin is forever dehydrated, and since using this serum I have seen a serious improvement in the condition of my skin. It feels so lightweight, just like water, and soaks straight into the skin. You literally need just one tiny pump, as any more than that is just necessary. A little goes a very long way so I can see this product lasting a long time. Love the packaging too. Thinking of buying some new skincare yourself? 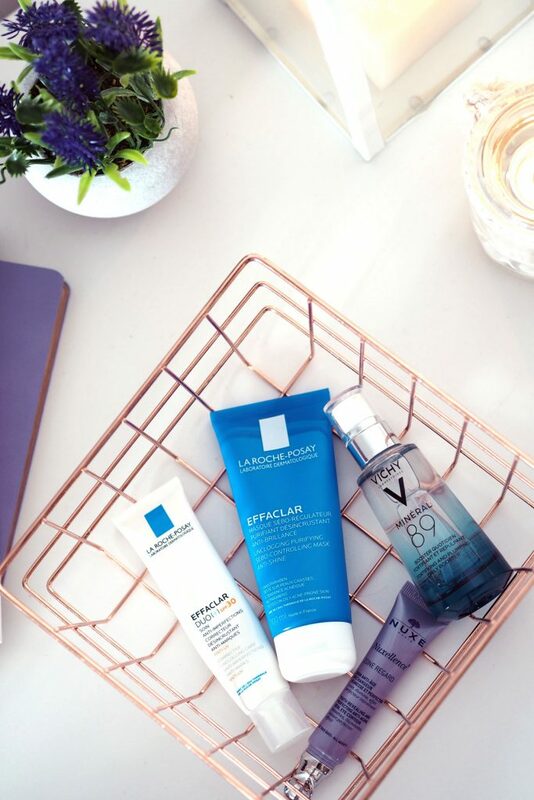 Head on over to Escentual as they have an entire section dedicated to French Pharmacy. And no guys, this post is not sponsored, I just love the guys over at Escentual. You can thank me later.